I love birthdays!! 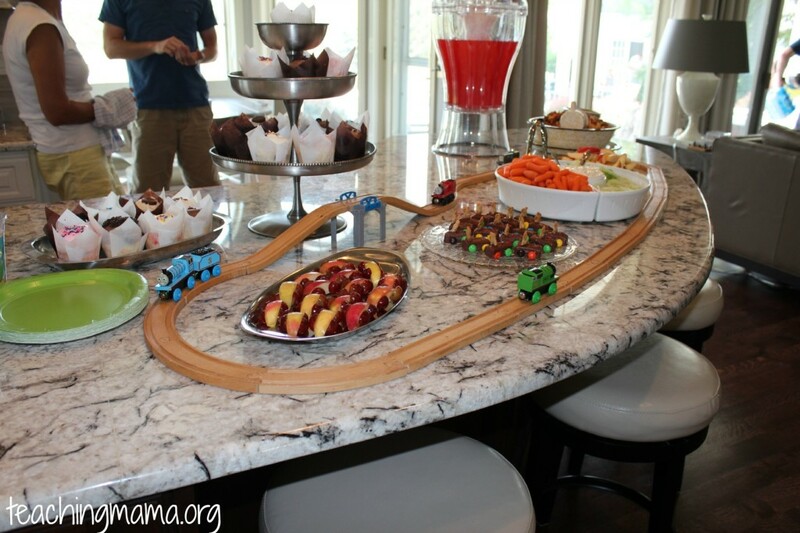 I really love planning parties for my boys, but this year I wanted to keep it simple. 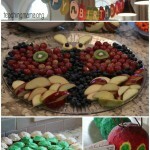 I didn’t want to go all out for a 2 year old party, but still wanted it to be fun. Thanks to your suggestions on my facebook page, I decided to go with a transportation theme. 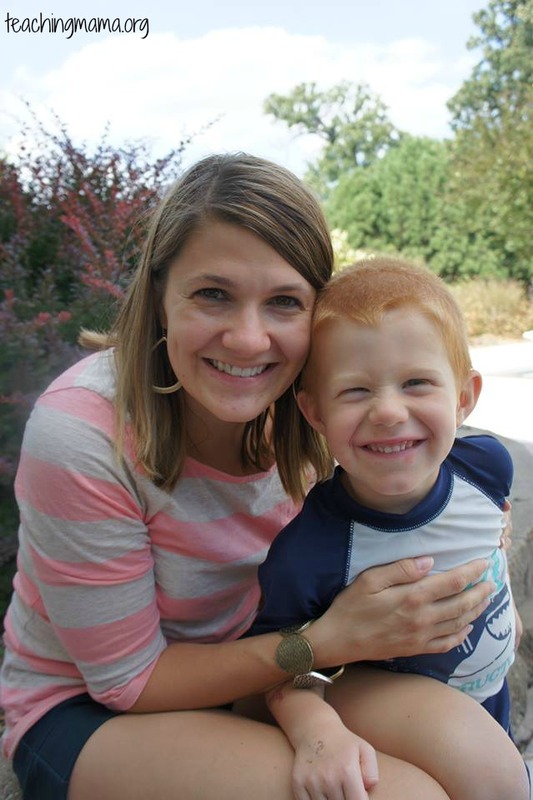 My little guy loves anything that moves (and he’s quite a mover himself! 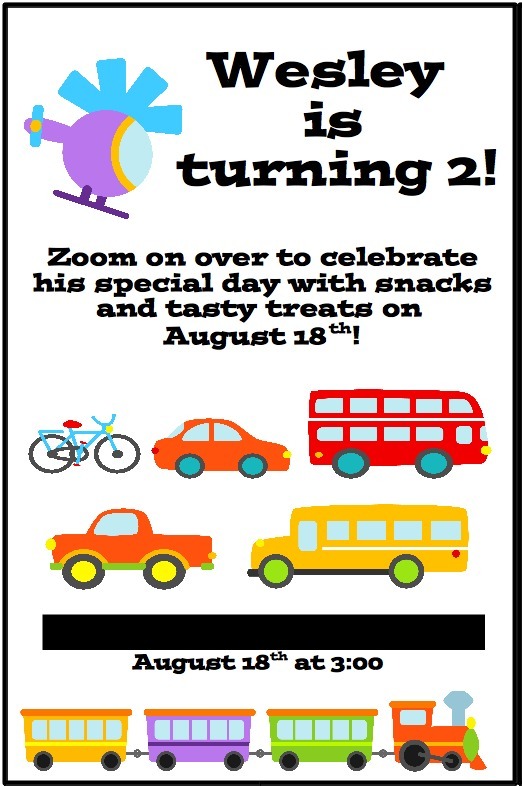 ), so I thought that would be the perfect theme for his party. 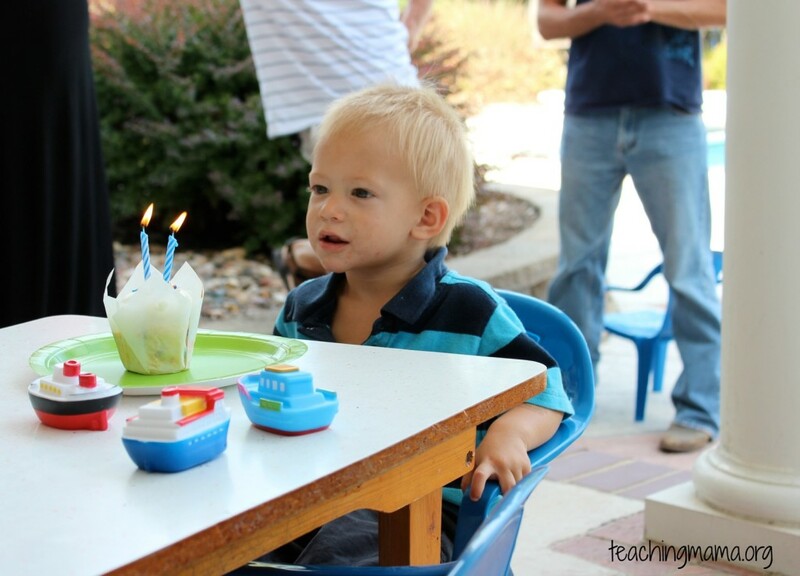 I decided not to make a meal for his party. Every other party I have done weve had a meal. Its fun to do that, but it can be a lot to plan. I wanted to keep it simple, so we had snacks and treats. I thought it was perfect! 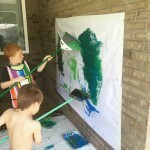 Heres a picture of a banner I made. 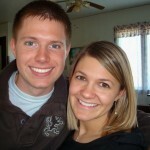 Sorry mom and hubby…needed to take a picture! 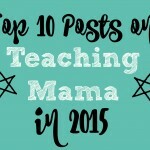 I’ll share how to make the banner at the end of this post. 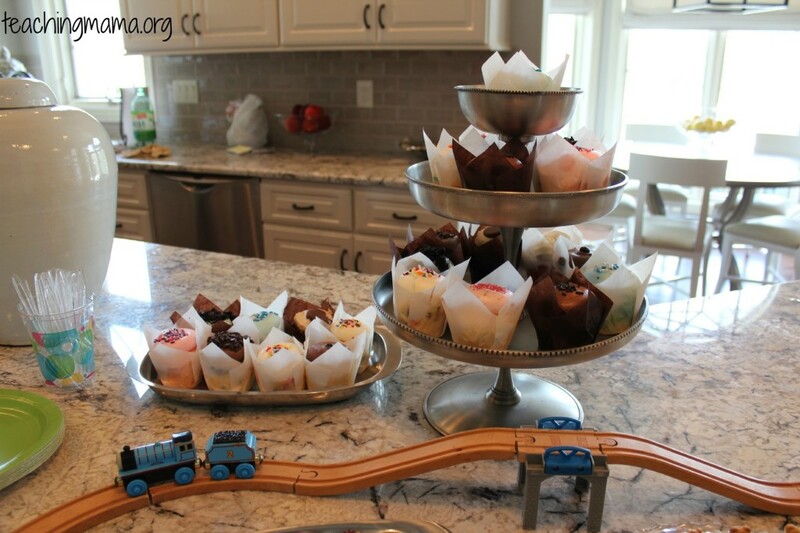 For the food, I served cupcakes (from Scratch Cupcakery…I highly recommend them! 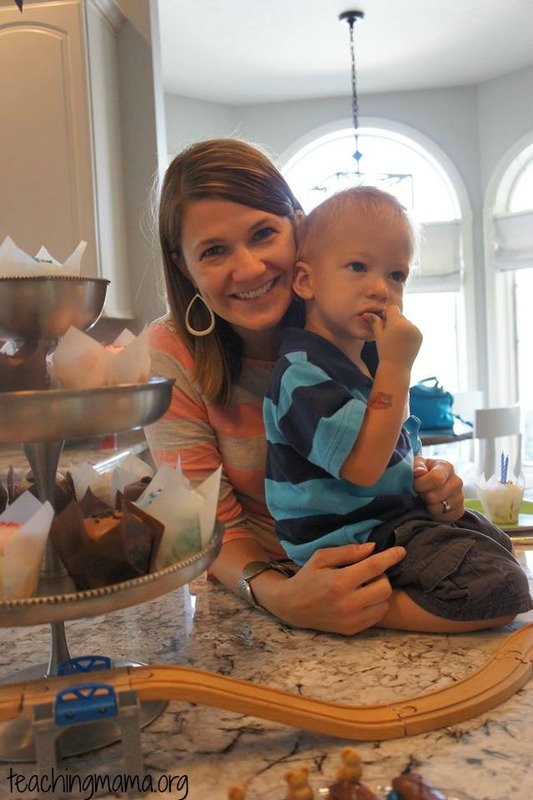 I hardly buy cupcakes, but it made planning this party so much easier!). 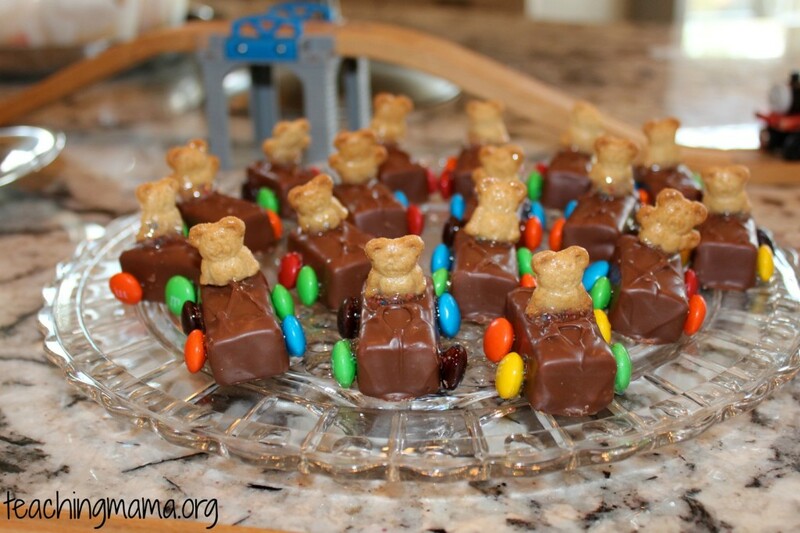 I also made these cute candy bar cars (which were Pinterest inspired). 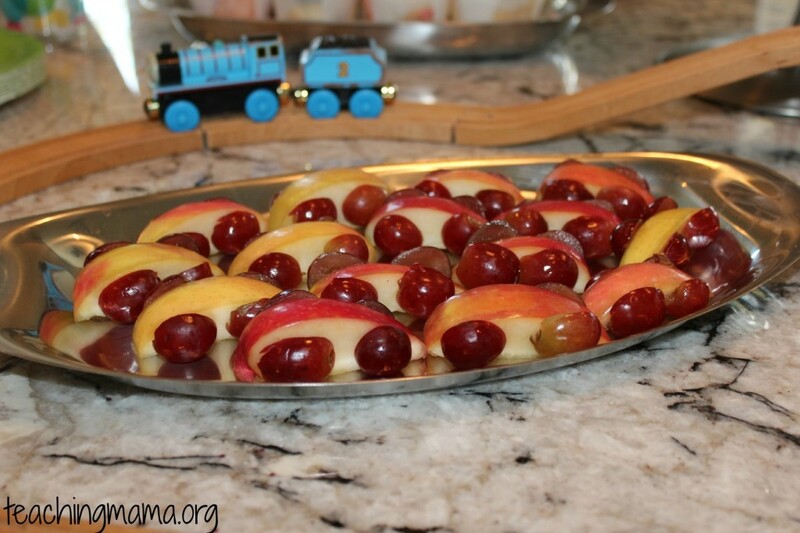 I made little cars out of apple slices and grapes. We had some yummy snack mix, carrots, cucumbers, and lemonade. I loved that this food was easy to munch on and did not take much time to prepare! 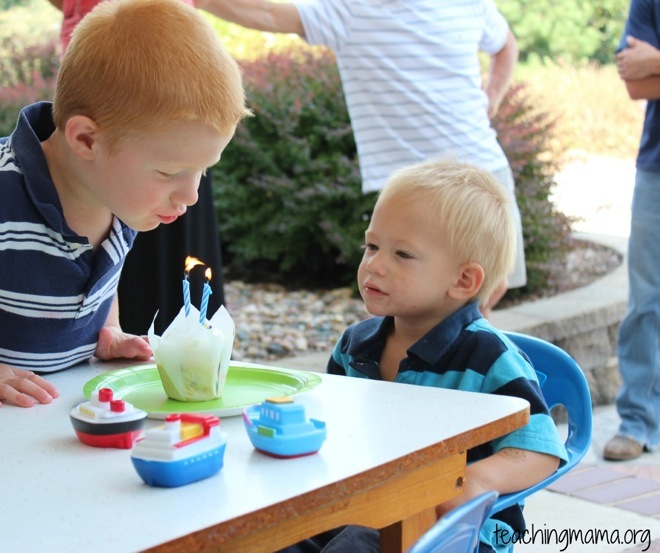 Big brother helped Wes out with blowing out his candles! Then we spent the afternoon swimming. 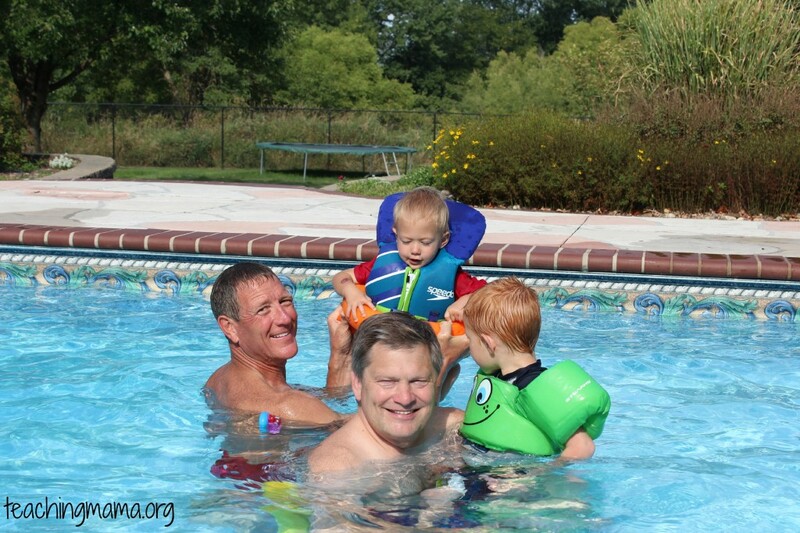 Here are the grandpas swimming with the boys! 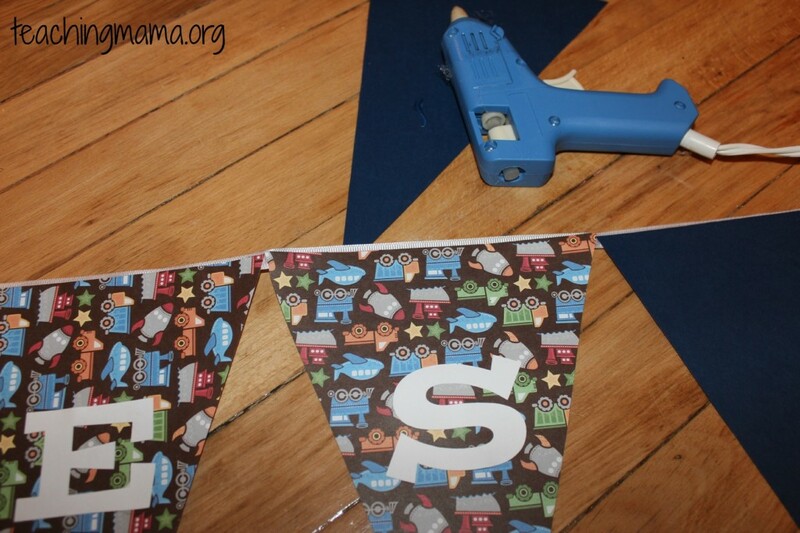 Okay, so here’s how you can make a reallly easy banner. All you need is paper (I used 12×12 scrapbooking paper), ribbon, letters, hot glue gun, ruler, and scissors. 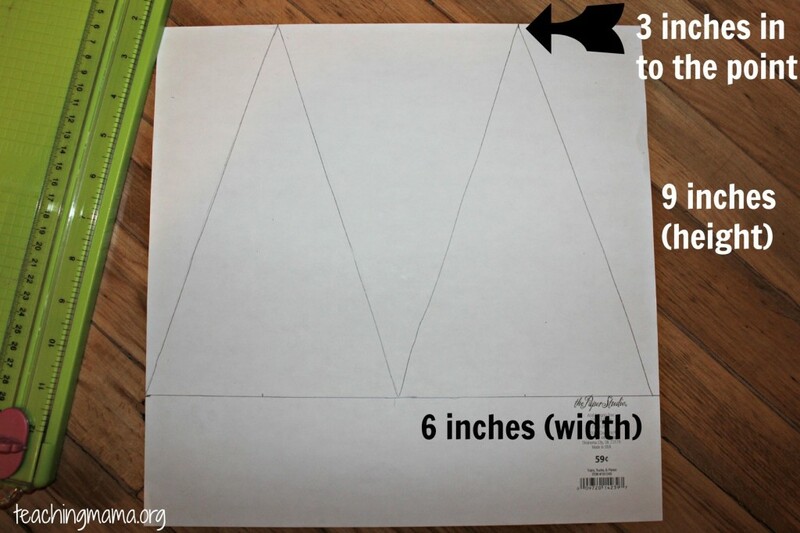 To start, you’ll make some measurements on the back of your paper. Draw a line across the paper, nine inches down from the top. Then mark the halfway point (6 inches in). Mark 3 inches in at the top of the paper (on both sides). Using a ruler, draw lines from the top point to the bottom line. Then cut out the triangles. It will make 3 triangles per page. Then use stickers or cut out letters for the words. I used my silhouette machine to cut out the letters. Then I glued them on with a glue stick. 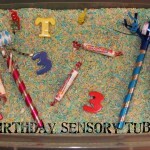 You could just write ‘Happy Birthday’ so you can use it over and over again. 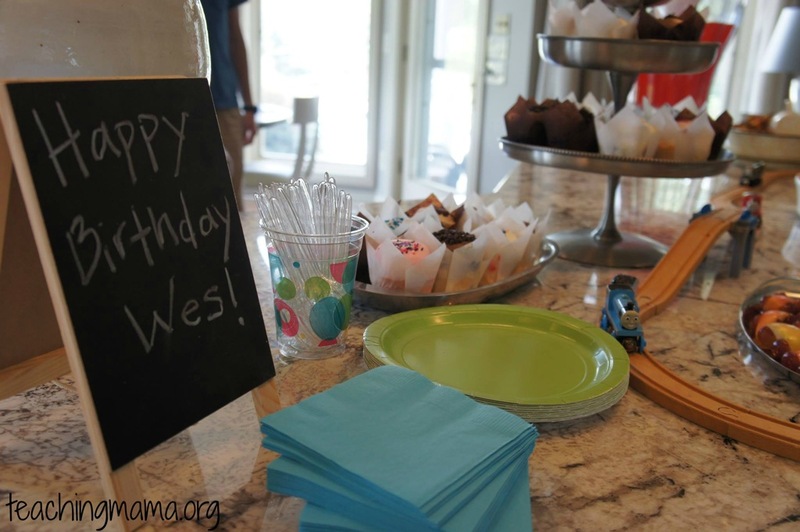 I just knew that we wouldn’t want transportation paper for every birthday, so I stuck with the phrase ‘Wes is Two!’ Next, I laid a long piece of ribbon on the floor. I glued the back of the triangles on to the ribbon. Then it was done! So easy! 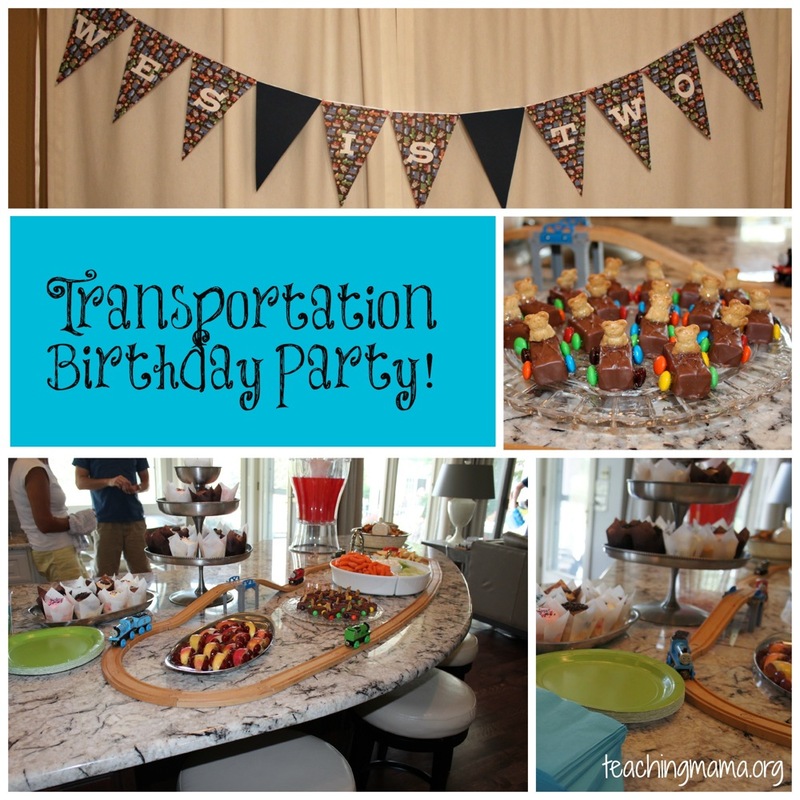 Hope you enjoyed taking a look at our transportation birthday party! 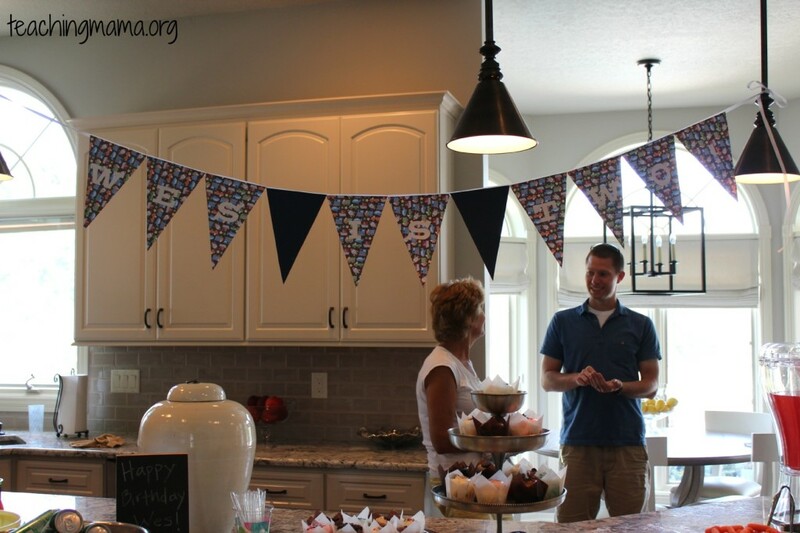 What a cute birthday party! 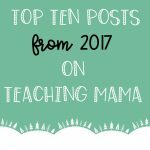 Thanks for sharing and for linking up at TGIF!